This World War II memoir from Soviet Red Army sniper Lyudmila Pavlichenko is something of a time capsule, preserving the mindset of a Soviet citizen/soldier during the world’s most genocidal conflict. Lady Death deals with the on-the-ground realities on the Eastern Front following the Axis’s launch of Operation Barbarossa in the summer of 1941. At that time, Pavlichenko was a fourth-year history student in Kiev with a strong dedication to her country. Through a shooting club at her factory, Pavlichenko was also one of the Soviet Union’s best-trained marksmen. On the battlefields of Crimea, where Soviet snipers rained hell on German and Romanian troops at Odessa and Sevastopol, Pavlichenko shot her way to battlefield glory. Before long, this humble sergeant racked up hundreds of confirmed kills. A sense of humility runs through Lady Death. In one scene, following Pavlichenko’s successful duel with an enemy sniper, she becomes annoyed by the falsehoods that are printed by Soviet journalists. Similarly, Pavlichenko is open about how uncomfortable she became with the Soviet media and the state’s use of her as a proselytizer for the war. These awkward feelings were strongest during Pavlichenko’s whirlwind tour of America. 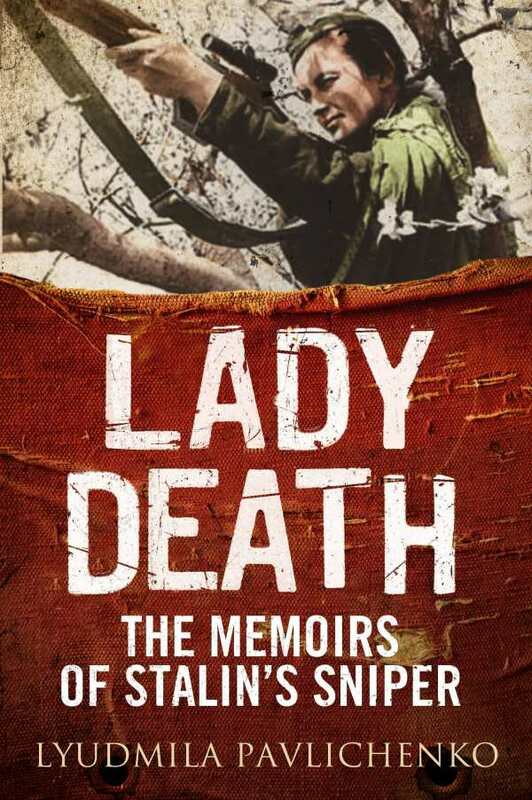 Lady Death is a detail-rich account of one woman’s war experience. Pavlichenko notes that her comrades often scoffed at the idea of a female soldier—a point on which she was quick to set them straight. Technical information about Soviet rifles and the basic mechanics of sniping are also included, alongside constant reminders of Pavlichenko’s hatred of “Fascists” and her desire to kill as many as possible. This red-blooded memoir is perfect for any war-history buff. Pavlichenko’s language is straitlaced and unadorned, and Lady Death provides more than a few interesting anecdotes about how the Red Army managed to defeat the at-times numerically and technologically superior Axis forces.